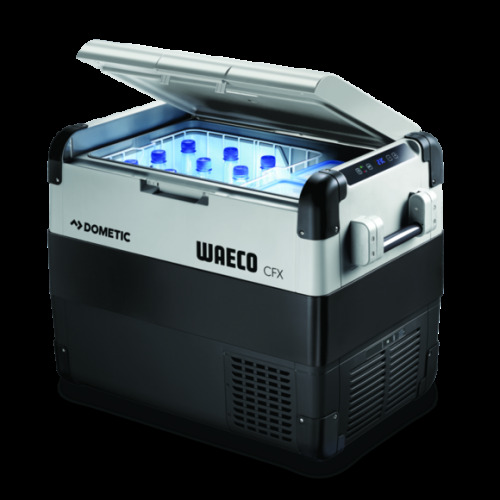 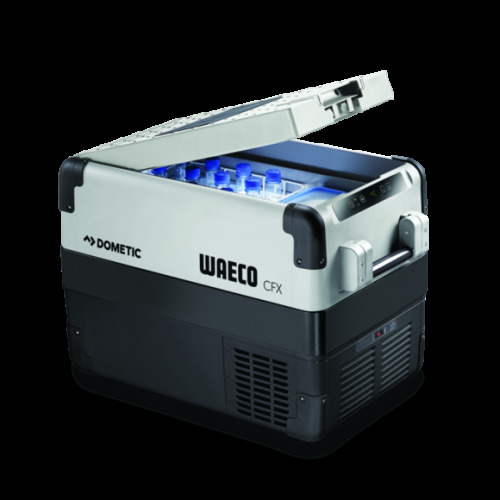 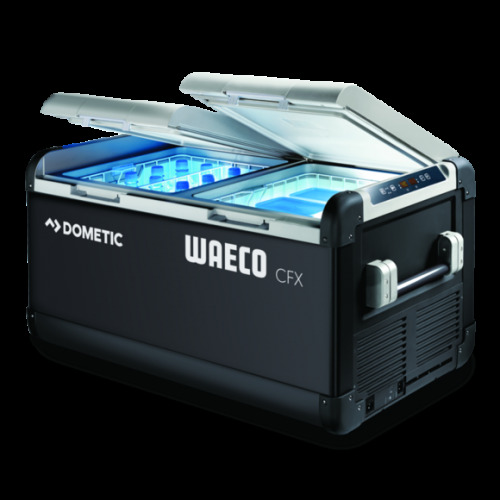 The Dometic Waeco CFX75DZW a highly impressive 75 l dual zone fridge and freezer with easy operation and capable of heavy-duty operation. 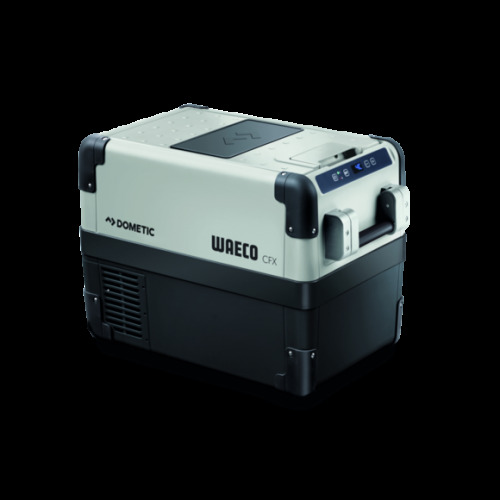 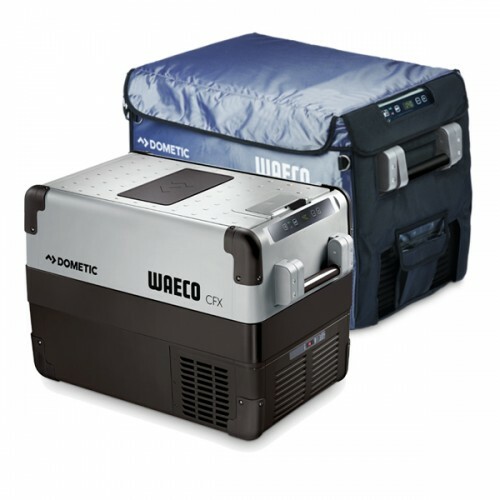 This portable fridge/freezer has an excellent cooling performance, even in high ambient temperatures. 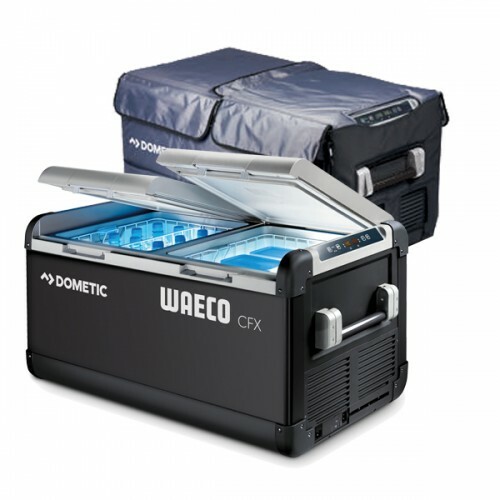 The Dometic CoolFreeze CFX has some seriously impressive features. 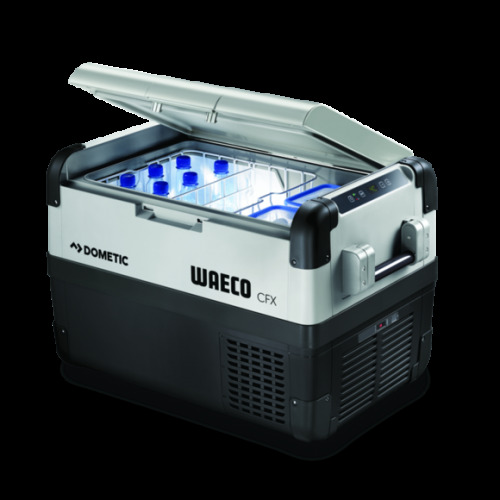 Firstly, there’s the CFX Special Electronics which include an intelligent automatic turbo cooler and memory function. 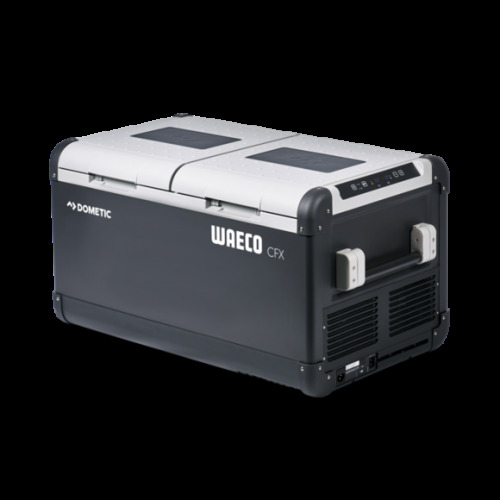 Then not only is it suitable for deep freezing down to –22 °C but it can also operate on solar power. 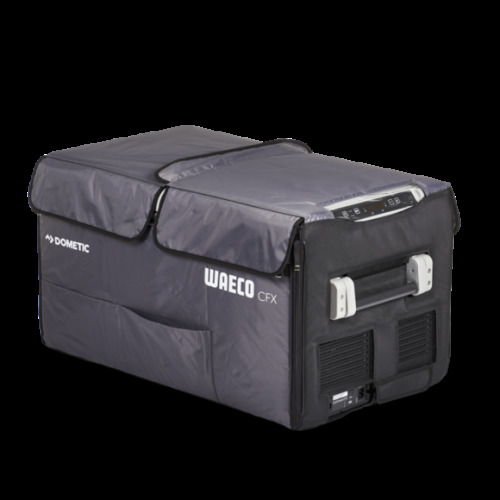 Plus, regardless of the outside temperature, this cooler will provide a first class, superbly quiet cooling performance. You can take this amazing cooler and freezer wherever you go! 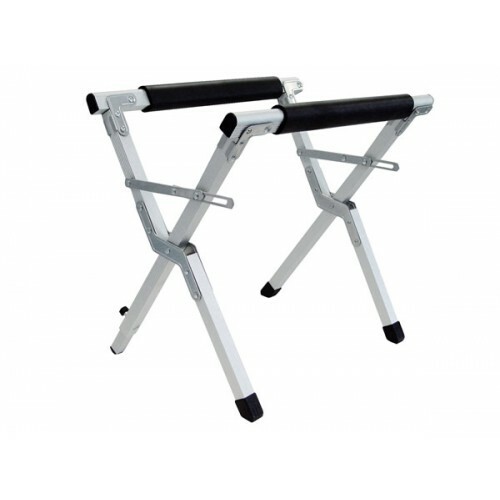 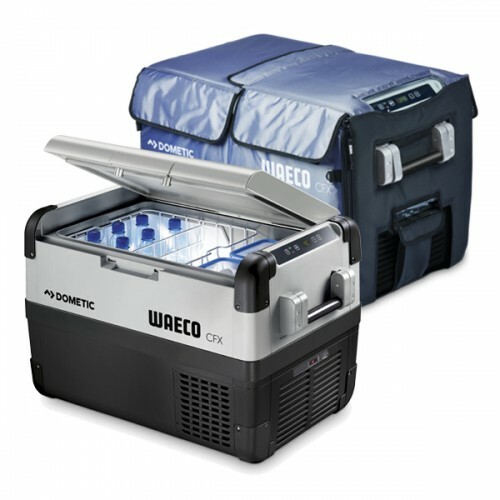 Fitted with heavy-duty details like reinforced corners, stainless steel hinges and a robust lid lining, the hi tech coolers in the CFX series can withstand the most demanding of loads. 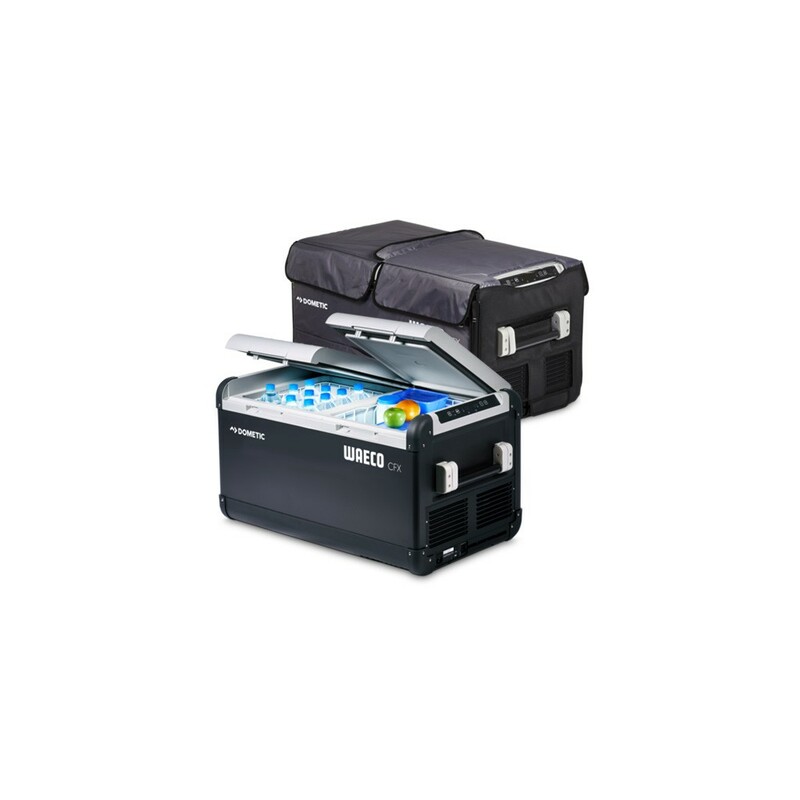 The CFX75DZW also comes with a Wi-Fi which combined with the CFX app you to set, control and monitor the temperatures of each compartment from your smart phone or tablet. 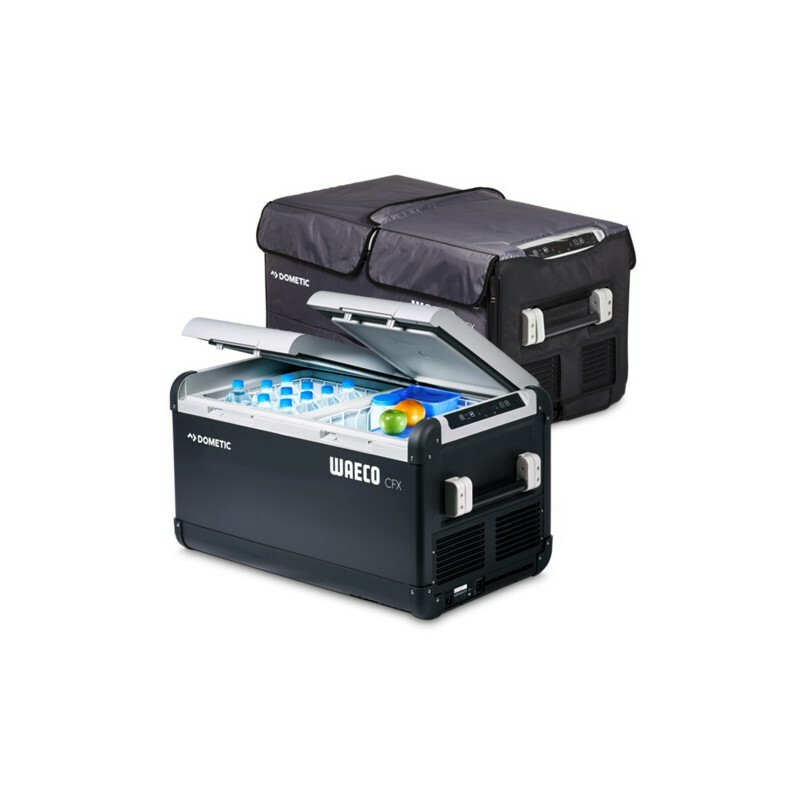 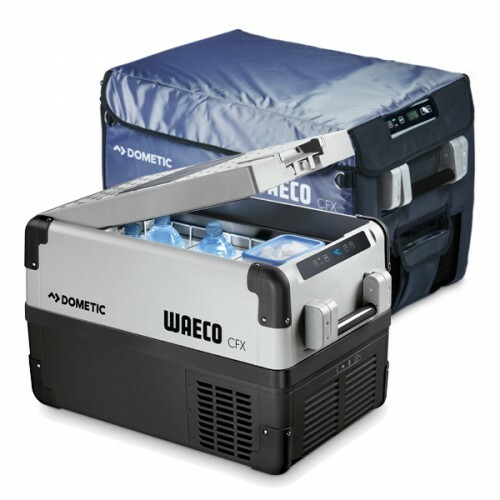 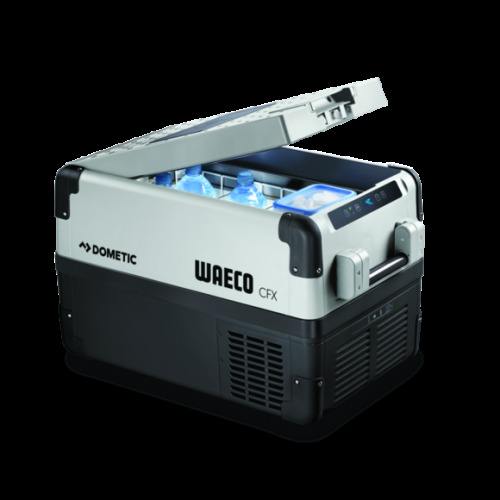 The Dometic Waeco CFX75DZW is perfectly built for camping and low battery consumption the CFX75DZW portable fridge also has an energy efficient LED interior light and USB port to help charge those portable devices.